This past month I visited Breckenridge, Colorado for a short weekend trip. Here is what we did and my travel guide to do Breckenridge in a short weekend! Skiing or snowboarding: Although I am not a big sports person, Breckenridge sure has a ton of opportunities for skiing, snowboarding, and more! I am not an expert in this area, but you can certainly spend a day on the slopes while in Breckenridge for a weekend! Walking on Main Street: We spent most of our time walking in and out of shops and eating on Main Street. There is a ton of shops to explore and a ton of local restaruants to try. Visit a neighboring town: On Saturday night we went to Frisco for dinner which also had some shops and local restaruants. If you spend the day in Breckenridge feel free to venture off at night to see something different! Marigolds farmhouse funk & junk: If you love anything vintage or repurposed Marigolds is the place for you! I found an adorable Christmas ornament for my mom there, but they have clothing, homewares, jewelry, and a ton of cute things that would make great gifts. 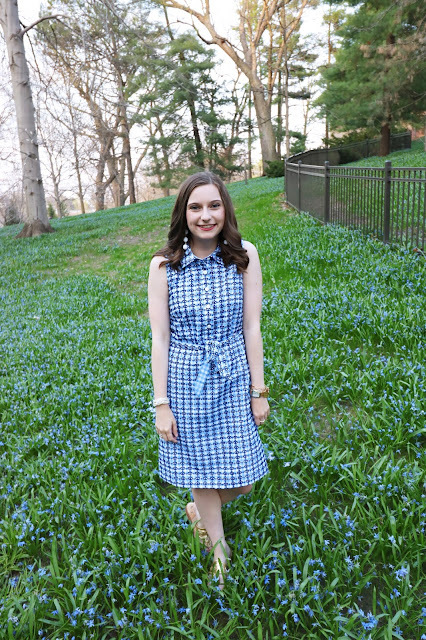 It was hard to resist the vintage flannels! Vintage sweet & chic: This may be the coolest boutique in Breck, it is a must see if you love fashion! A mix of new and vintage pieces this place had something for everyone. Not to mention they had a TON of adorable homeware items as well. I picked up a tiny whale jewelry dish for only $5. Their clothing is on the pricey side, but if your not in the mood to spend the big bucks on clothing you can find a cute little trinket instead. Patagonia: Stop by the Patagonia store to pick up any and every color pull over or coat imaginable. They were in the process of moving store when we stopped in so I scored a pop over for only $39! But, if you are in the market for a new Patagonia then be sure to take a peek. Main Street is also home to the North Face store if you prefer North Face over Patagonia. Christmas shop: Swan Mountain Christmas shop is perfect to pick up holiday gifts all year round! My family and I went here over 10 years ago when I was in Breckenridge so I was super excited to go back and pick out my own ornaments. Joy of Sox: Wanting a pair of cozy or quirky socks? Look no further than ______! They have a ton of fuzzy and novelty socks that are too funny. I got a boring pair but they are the softest socks every, at least that is what the package said. Global Candle Gallery: This place has the craziest candles that are all handmade in the shop in Breckenridge. Perfect for gifts or yourself! Daylight Donuts: Start your day off with a delicious donut or breakfast entree. I tried the apple fritter and it was very tasty! Plus it is super affordable. You can get 10 donut holes for $1, sign me up! It's a great place to start your day exploring Breck. The Canteen: We tried getting into the Canteen for dinner Friday but there was a long wait, so be sure to make a reservation (you can make it on their website through Open Table). My boyfriend and I split a Mac and Cheese entree and chips and salsa appetizer, it was plenty of food for two! Their mac and cheese was one of the best I've ever had. Topped with Cheez-its this baked mac and cheese is a for sure must. I also tried a local hard cider which was very good. Blue River Bistro: In the mood for a classier meal? Then look no further then Blue River Bistro. With Italian dishes and a few other things this place is great for the whole family. It is a little fancier so try and look nice, but there isn't a true dress code. With live music, a great wine list, and tasty food this place has everything. We had the happy hour special which was fried ravioli with guac, sour creme, and salsa. It was, I kid you not, the best thing I have ever eaten. So tasty! Then I had the tortellini which was also very tasty. Top it off with a class of rose and it was a great meal. Cabin Coffee Co.: Stop by one of the many coffee shops along Main Street to warm up and grab a beverage. Rocky Mountain Chocolate Factory: A classic, but favorite, Rocky Mountain Chocolate Factory is the place to pick up some tasty chocolate treats! Ollie's Pub & Grub: In the mood for traditional bar food? Well look no further than Ollie's Pub & Grub. This place is great to grab a casual meal or a few apps and a local beer. 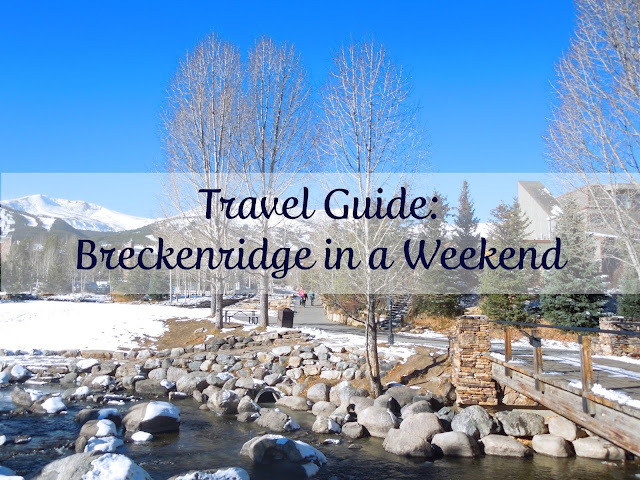 Breckenridge is an adorable little town for a quick weekend trip! What are your suggestions for Breckenridge? Leave them in the comments!